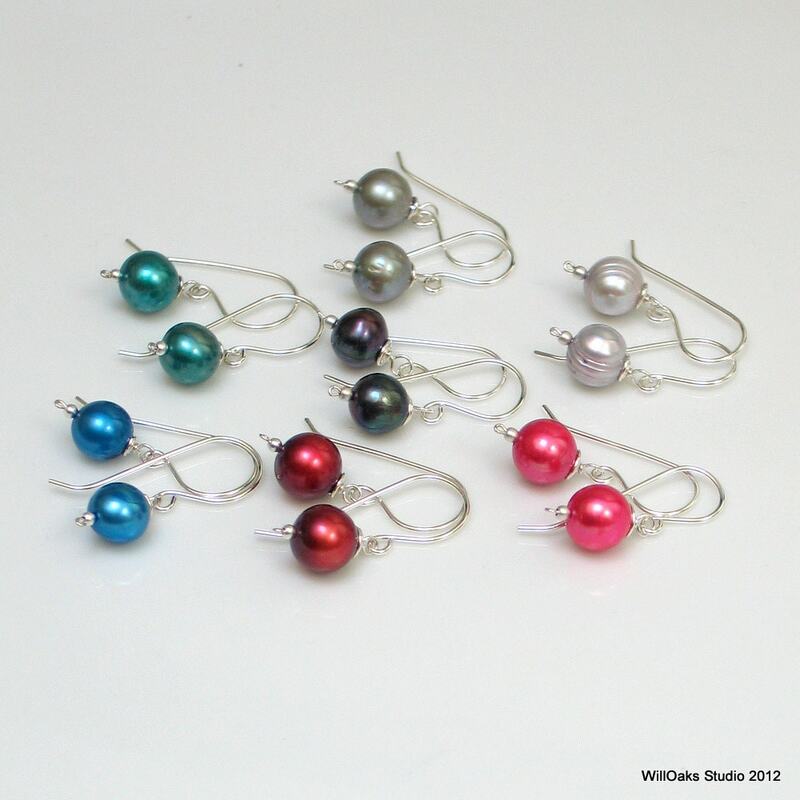 Freshwater pearl drop earrings in seven colors to enjoy alone or to match with designer pearl bibs, necklaces and bracelets offered here in WillOaks Studio. 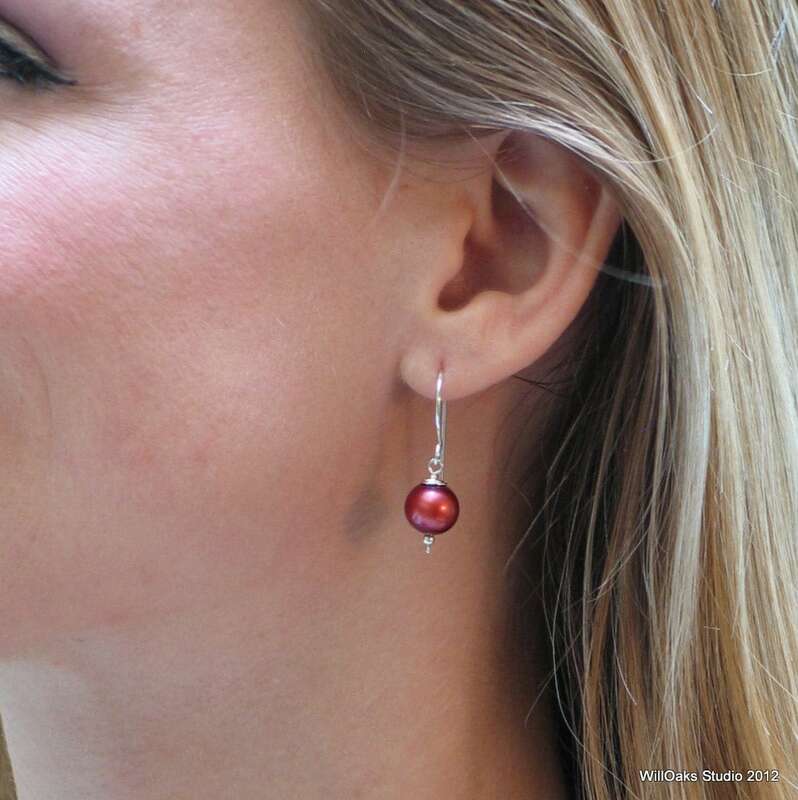 Wear these for formal wear, business and fun as simple, single larger pearl drop earrings are great any time! 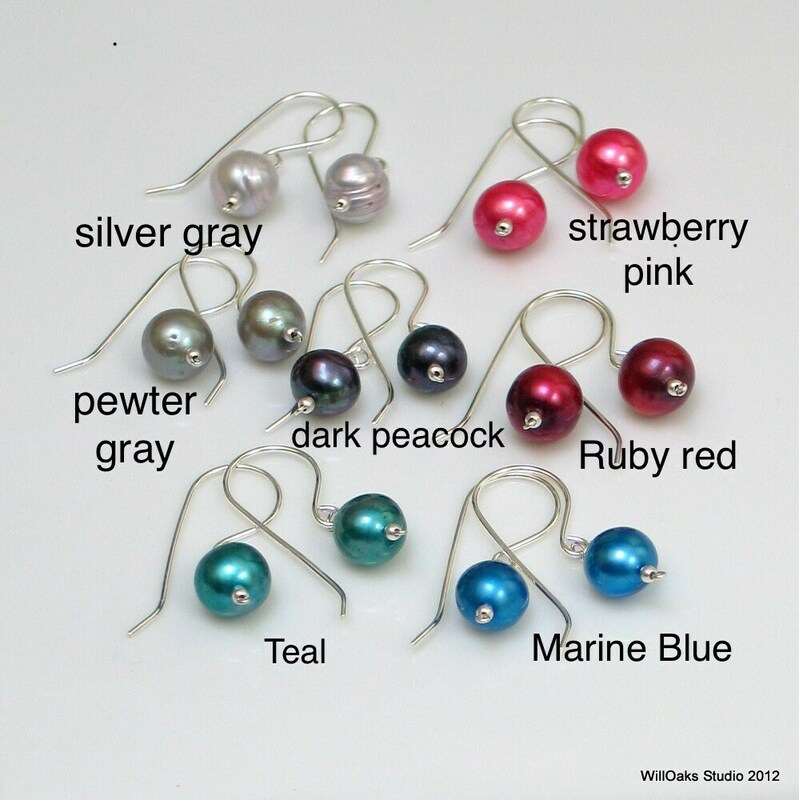 Available in bright and classic colors: silver gray, teal, ruby red, strawberry pink, dark peacock, marine blue, pewter gray. Freshwater pearls average 8 to 8.5 mm diameter and are wire wrapped in sterling silver with a matte finish sterling bead at the bottom to drop from my hand formed sterling ear wires. 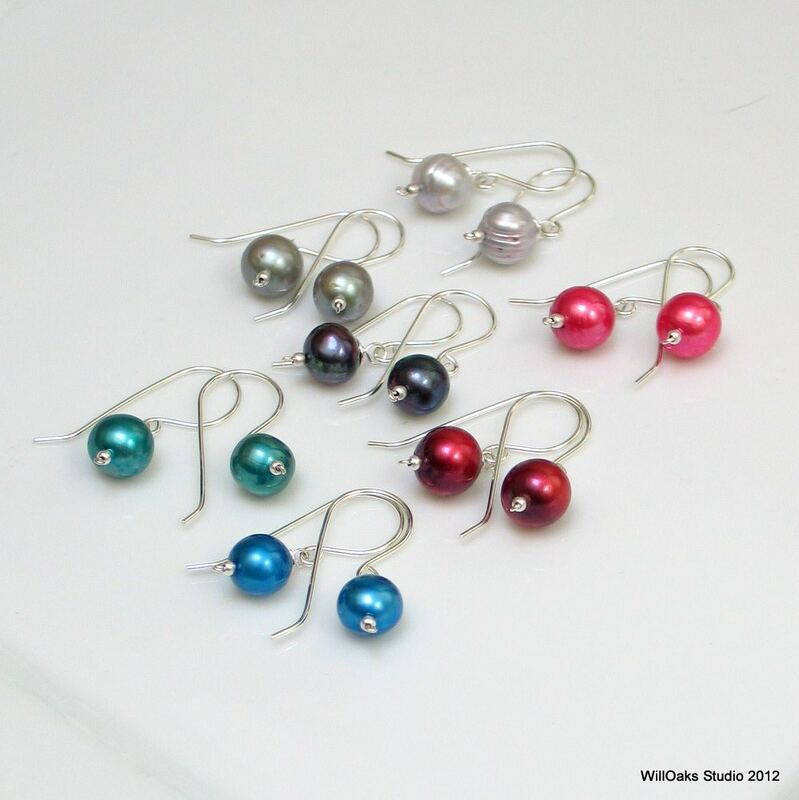 Currently 7 colors to choose from to mix and match with many of the freshwater pearl designs currently for sale here in my studio. Can be made with dark, oxidized sterling for a different look--select your pearl color and silver finish as you check out. 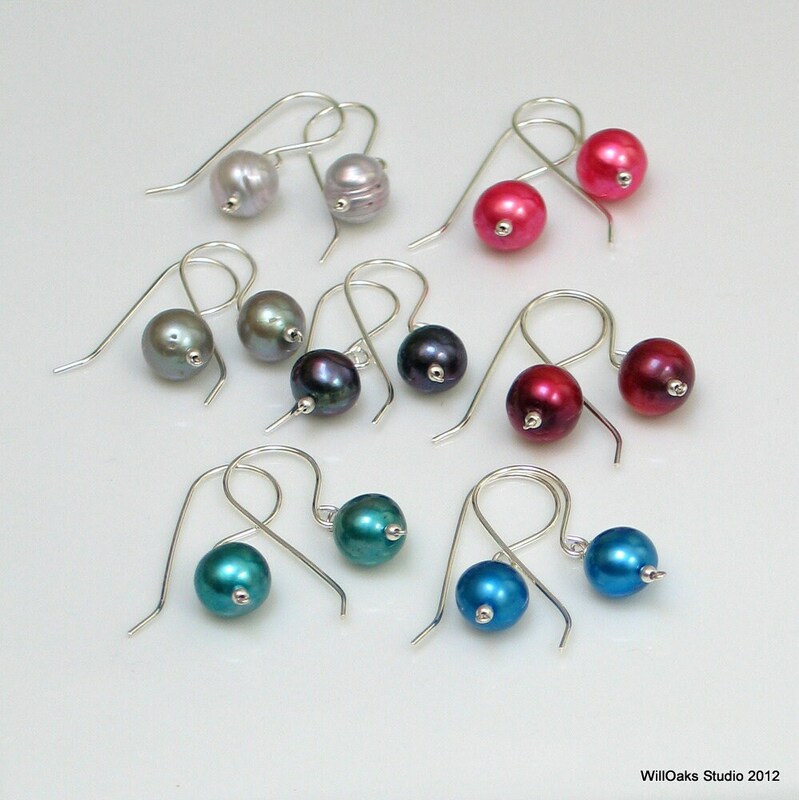 If you'd like to match the pearls with a WillOaks Studio piece, please order at the same time. Earrings are shipped boxed for gift giving with my signature packaging. They can instead be added to coordinated necklaces or bracelets presented on a custom card in the larger signature gift box. Please visit the front of my studio here https://www.etsy.com/shop/WillOaksStudio and drop a note with any questions or comments! 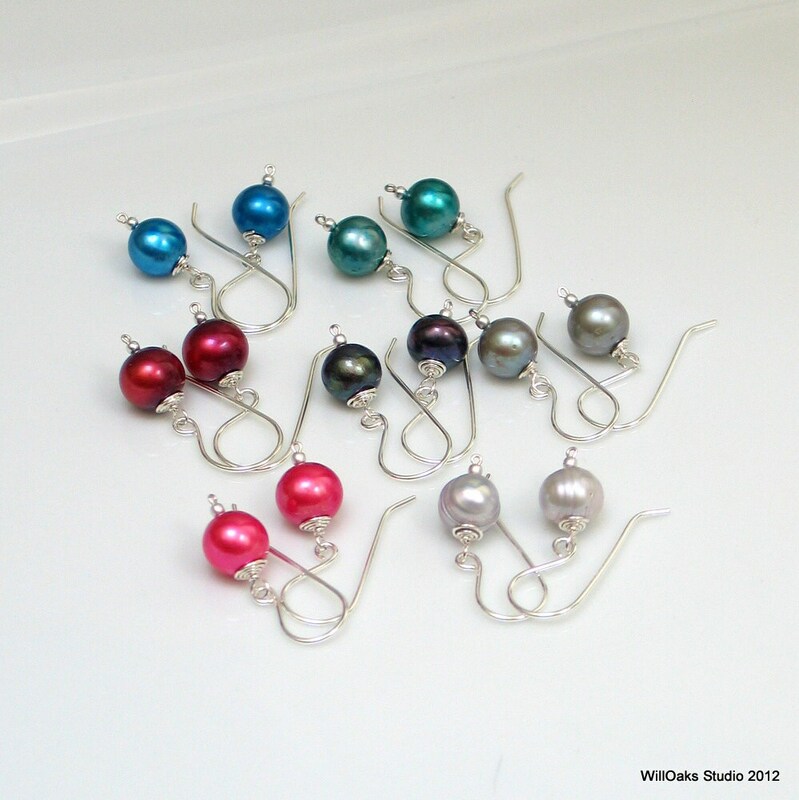 Nice earring and perfect for a gift. Prompt shipping. The color and size of the pearl are exactly what I was looking for. Very well made and simply beautiful!! This shop offers so many wonderful styles and colors I can't wait to do more shopping! Great customer service! !